New Realm was the brewery I had read the most about before my trip. 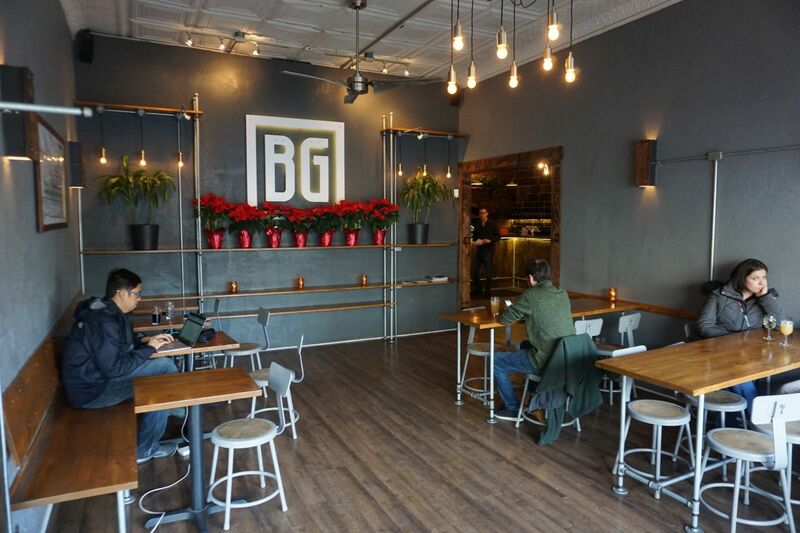 This is because it was started by Mitch Steele, who formerly brewed for Stone. 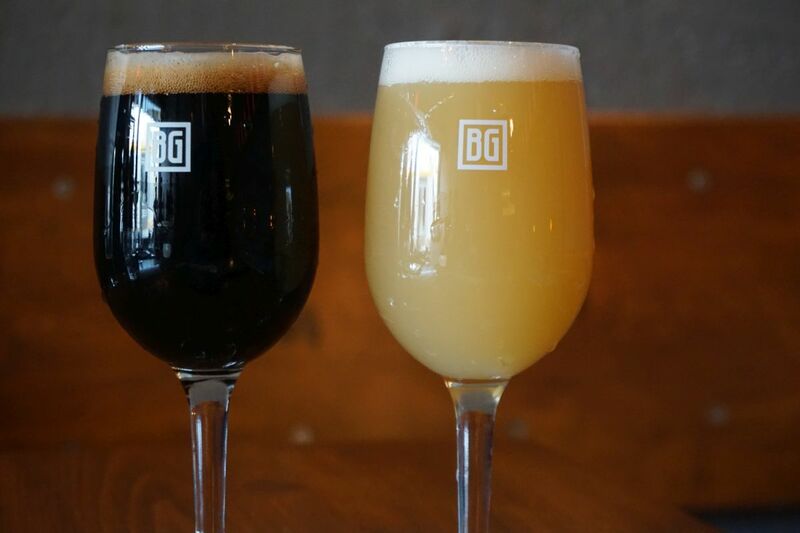 You can taste the brewing experience behind their core beers immediately. 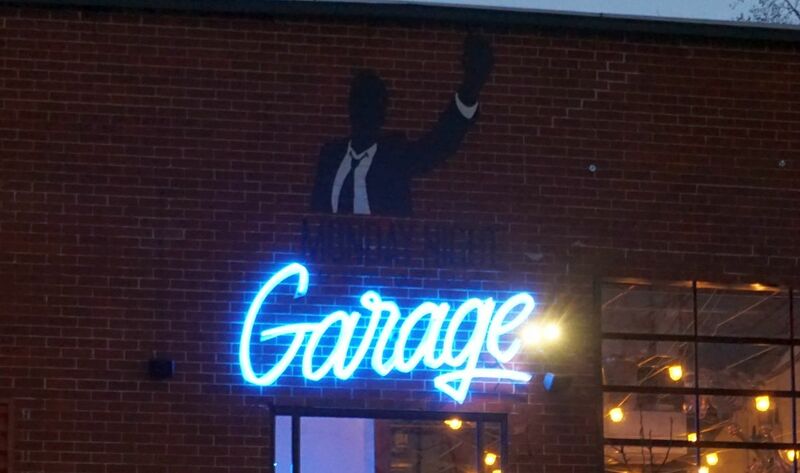 They are a restaurant space and limit parking to valet, which I have not seen at a brewery before, but may help them crack down on drunk drivers. 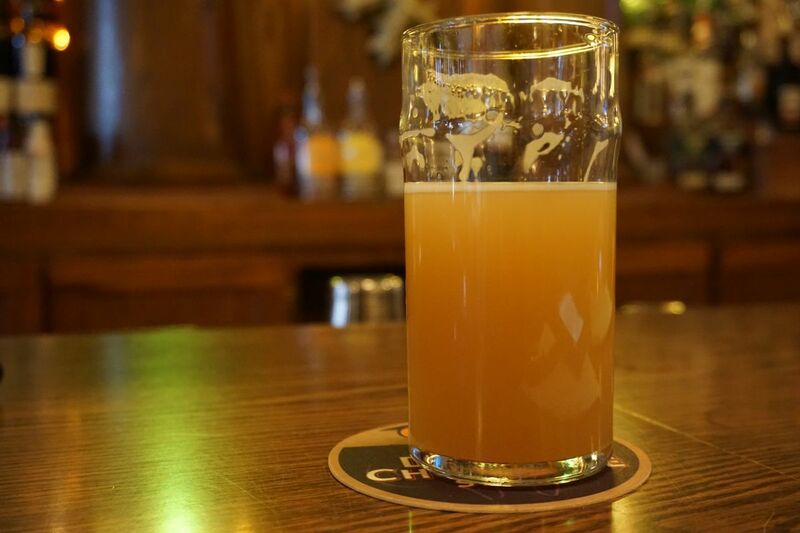 I sat at the bar and started with a full pour of the pilsner. I needed something to wash down the bigger beers from the previous place. The pilsner was excellent with a soft body, notes of citrus and floral hops, and a crisp dry finish. It is up there with some of the best pilsners I have ever had and likely to become a good seller for them in the local area if it is not already. After that I was tempted to order a full pour of the cranberry berliner but I’m glad I decided to get tasters because it was not for me. I ordered tasters of the berliner and two IPAs. I wanted to see how the ex Stone brewer decided to brew IPAs once separated from Stone. The berliner was flavored with cranberry, orange, and cinnamon. From tasting it I would not have guessed it was much more than orange because the orange dominated and cinnamon was not detectable at all. This gave the beer an unpleasant bitter taste likely from the orange peel that didn’t work for me at all. I tried two IPAs, Hoplandia and Hoptropolis. 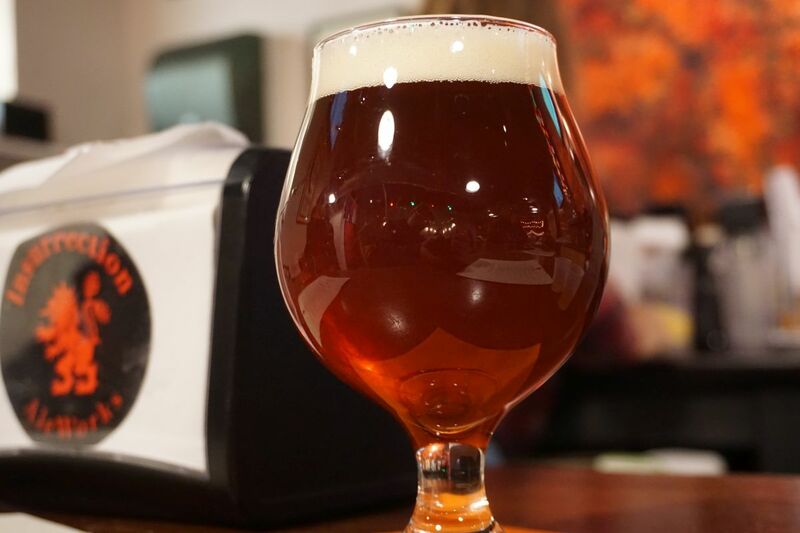 Hoptropolis was soft and balanced with a nice mix of hops including light notes of floral, citrus, and dank piney hops. It had low bitterness and a nice dry finish. Hoplandia, the newest of the two, had prominent notes of peach at the front and otherwise was very similar to the other IPA, also soft and not too bitter. 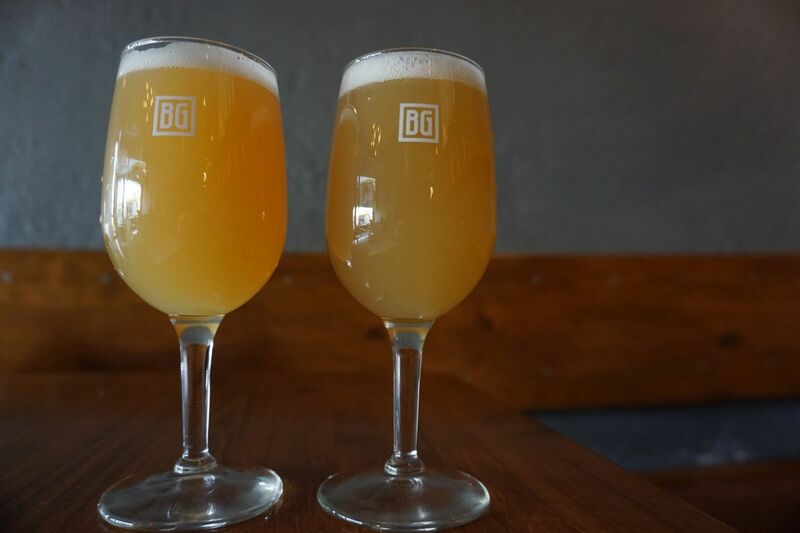 Both are excellent examples of the modern style of non-hazy IPA. 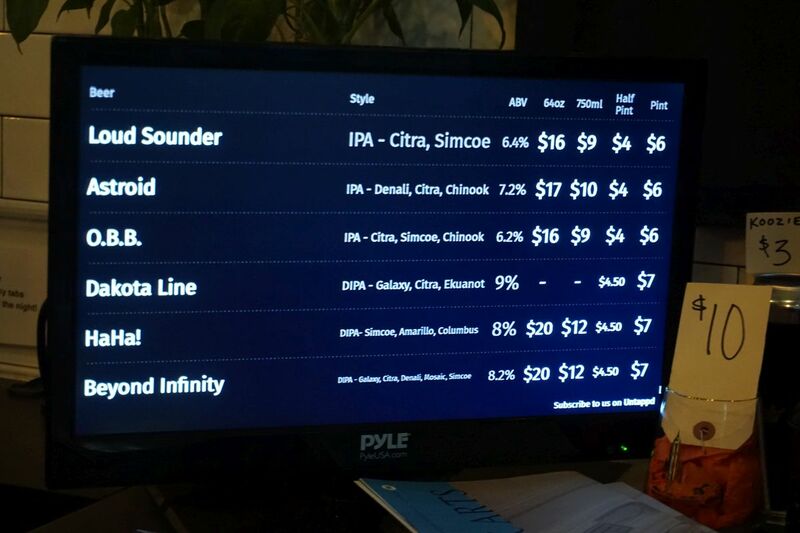 I later picked up a six-pack of the Hoplandia IPA to enjoy a few beers in our airbnb before flying home. 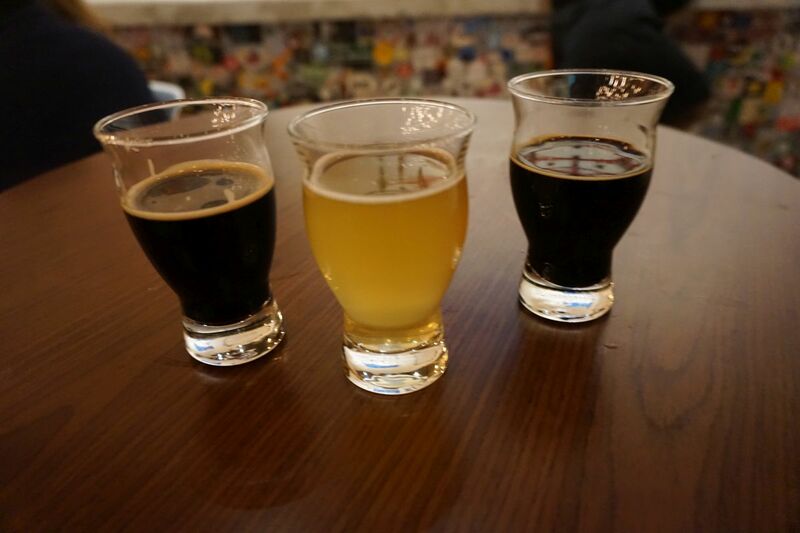 New Realm has a large restaurant space that is quite impressive and a solid lineup of beers. I did not try their stout but they did have a barrel aged stout as well. 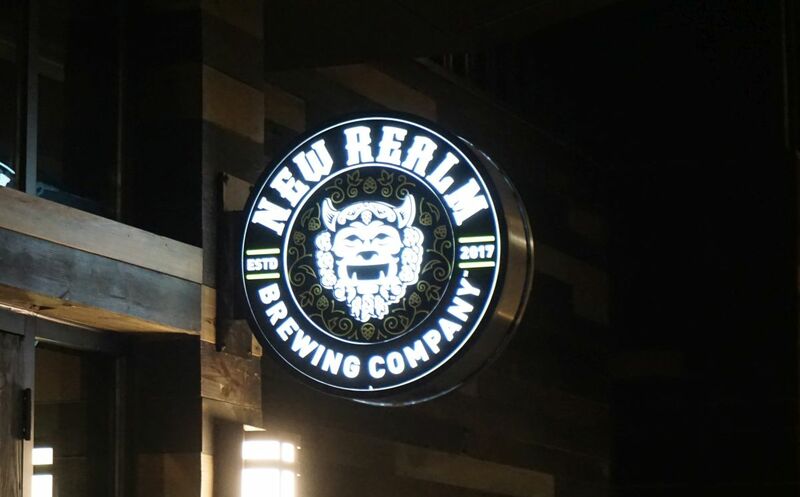 If you live in Atlanta and haven’t yet made it to New Realm, I suggest you search out their beers. 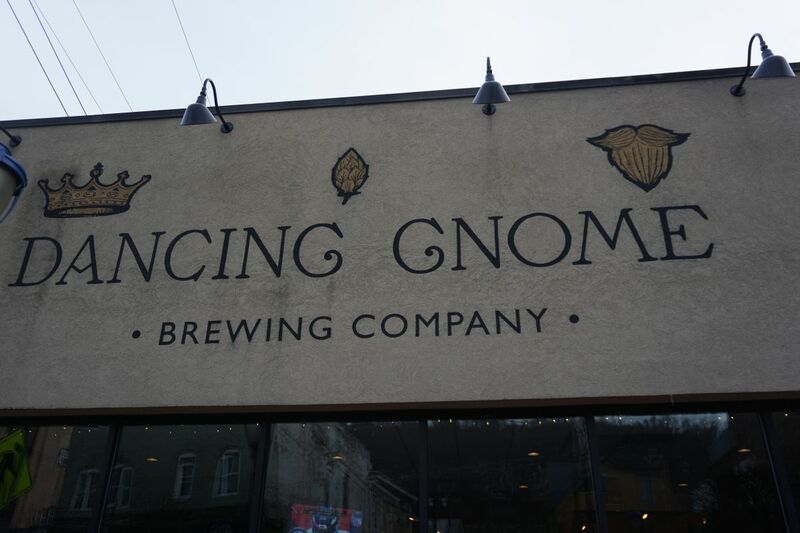 Dancing Gnome brews nothing but IPAs. Or at least that seems to be the primary focus. Everything is half pours or full pours with the occasional can release. I tried two beers while I was there and they were quite good though still a step below Brew Gentlemen. The tasting room is a bit smaller but still a good size. I started with Dakota Line, a 9% triple IPA because that was the one available in cans. It was a bit green so I will revisit the beer in the cans after they have had a chance to mellow out. The beer had notes of tropical fruit and citrus with a good thick body and a lingering hop acidity on the finish. 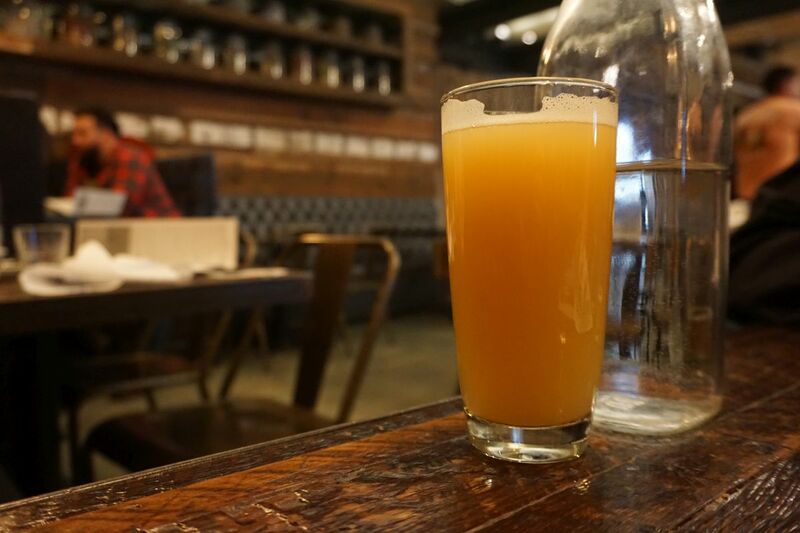 Asteroid, a single IPA had a mix of citrus and earthy hop character with a lingering acidity. This was also properly thick and creamy. 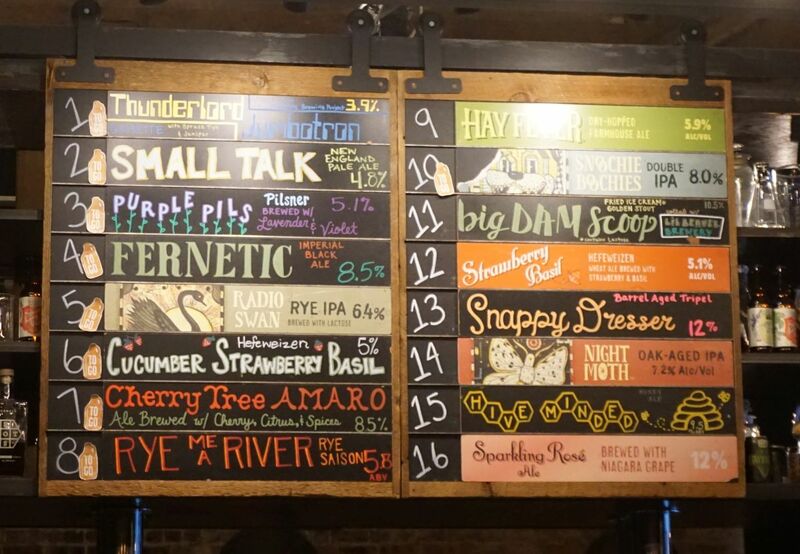 I might have tried more at Dancing Gnome but I was already at my limit for hazy IPA for the day. Dakota Line did mellow out a bit after a week or two and was quite impressive for a triple hazy IPA. 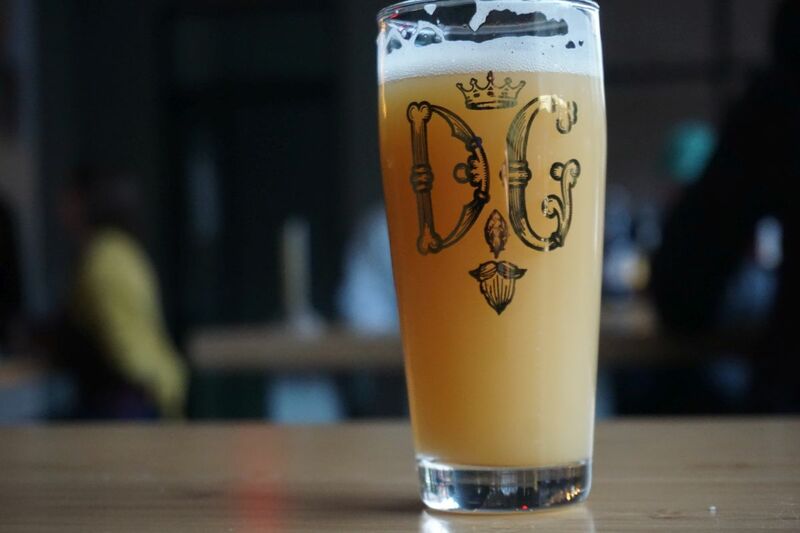 Dancing Gnome doesn’t brew anything but hazy IPA so if you aren’t into that style you might want to go elsewhere. 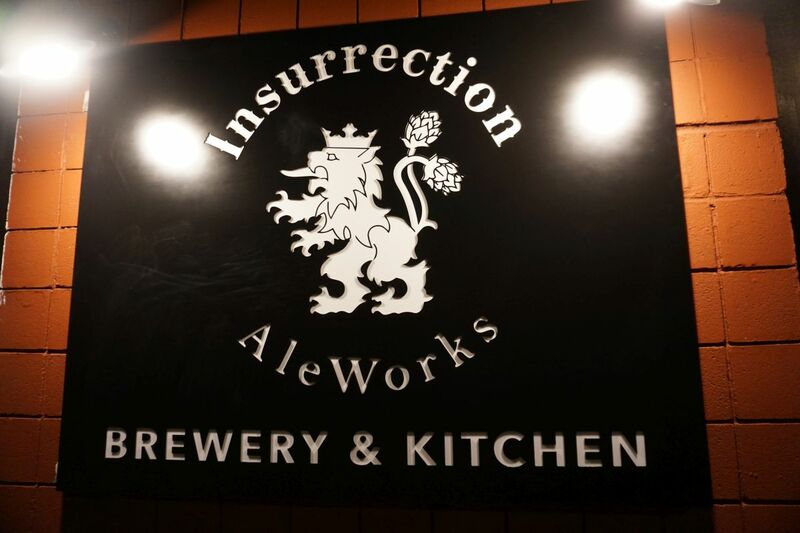 Our last stop for the day was Insurrection, a bit West of town, closer to the airport. I had their Panama Red, red IPA. It had a nice dry finish with onion and light herbal hop notes with a light bitter finish. This was just what I needed after the hazy IPAs and was quite well done. My husband had a taster of their breakfast stout. It was bitter and quite smoky with prominent notes of coffee and burnt toffee. I thought the beer was a bit thin. Though well-done, I would have preferred it without the prominent smoked malts. Normally I write about breweries over bars but in Pittsburgh the breweries all close on Monday and Tuesday except for one that opened at 5PM. 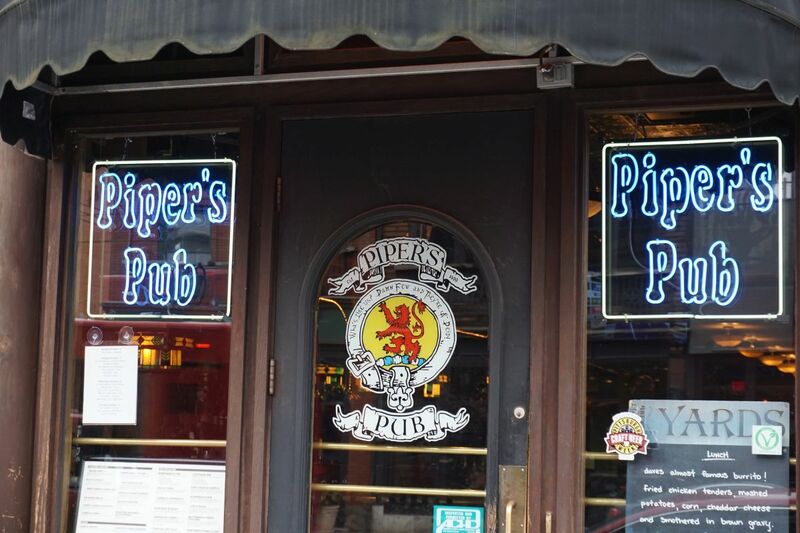 Piper’s Pub came highly recommended and it made for a great spot to have a few pints before catching our flight home on a Monday evening. 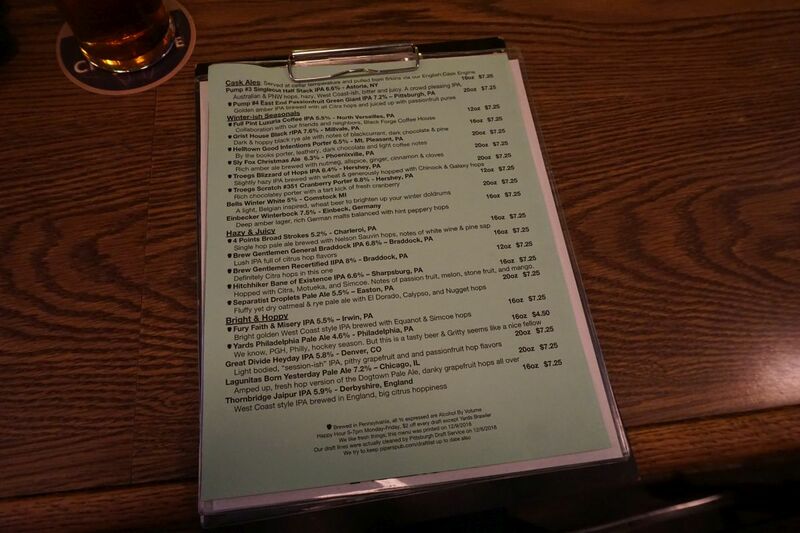 It has the feel of an English pub with a nice tap list that is a mix of Pennsylvania beers and imports (mostly English, Irish, and German). Most beers are served in imperial pint glasses for $7.50 a pint. 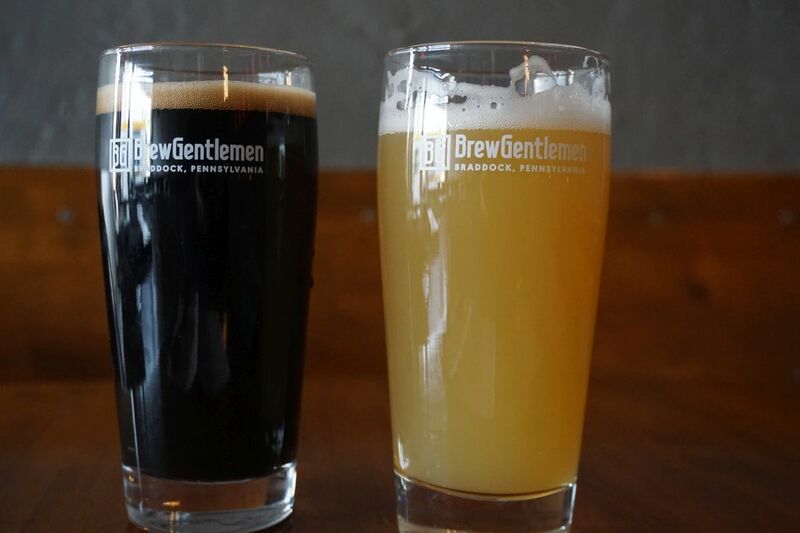 If you aren’t able to make it out to Brew Gentlemen you may get lucky and find one or two of their beers on tap here. After trying one beer from a brewery we didn’t get to visit, I ordered more Brew Gentlemen because they were that good. Thankfully they had Recertified on draft, my favorite hazy double IPA from visiting the Brew Gentlemen. The main reason I visited Pittsburgh was to visit Brew Gentlemen. I have been seeing their beers rated highly in blind taste tests done by Paste Magazine for the last two years. Mostly this has been their hazy IPAs but occasionally other styles as well. They only serve six and twelve ounce pours at the tasting room plus growlers to go. 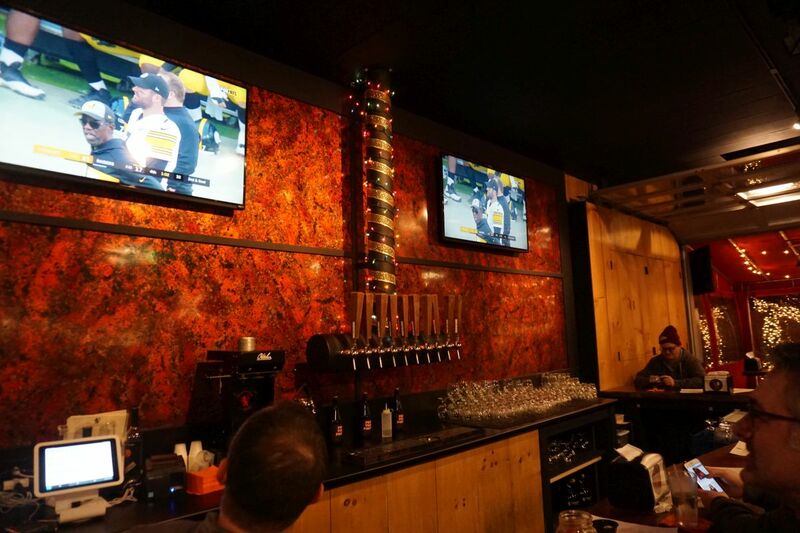 While you can find their beers at a few bars around town, you will only find the wide variety at the brewery itself. If you already have some 750ml growlers from other breweries, bring them with you to avoid buying new ones. I started with momo, their hazy pale ale and a mexican coffee stout for my husband. Momo was soft and creamy with a nice thick mouthfeel. The beer had notes of tangerine hops with a low hop acidity and low bitterness. It was one of the more flavorful hazy pales I have had. The mexican coffee stout was soft and nicely balanced with notes of cinnamon, nutty coffee, and mild roast. The mouthfeel reminded me of Tree House’ stouts, which suggests they use similar water to Tree House. After the first pour, I was so impressed I got six ounce pours for the rest of the beers. I did those two at a time so I could compare different beers. For the first two half pours I compared General Braddock with Kaizen. Both had that lovely pillowy mouthfeel though they had distinctly different varieties of hops and hop flavors. General Braddock was bursting with papaya and light vanilla. Kaizen had a more herbal hop bitterness to it balanced with notes of ripe tropical fruit. I didn’t care for the hop varieties but it was still quite well done. Thankfully as it warmed up, the herbal notes mellowed out. Next was Recertified Double IPA. This was my favorite of the bunch. The beer was bursting with notes of tropical fruit and could easily be mistaken for a hazy double IPA from Monkish or Tree House. I was quite tempted to fill a growler to bring back but I didn’t want to buy any more glass. Chocomatic Imperial Stout was my final half pour. The beer was roasty with prominent chocolate and a good thick body. Despite the higher alcohol, it was not boozy and avoided getting too sweet or thick. My husband still preferred the Mexican coffee. Brew Gentlemen lived up to the hype and then some. The hazy IPAs were all excellent and they are making fantastic stouts as well. 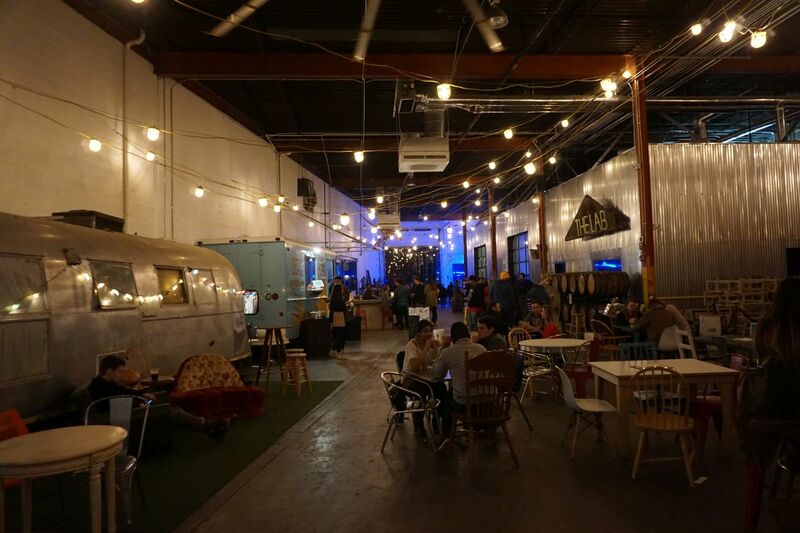 Though the tasting room is in a shady part of town, once you are inside, it has a nice relaxing, homey feel to it. They don’t serve food but they tend to have a food truck outside. While it was slightly disappointing that they didn’t have cans, I like their choice to limit to-go to growlers and the occasional bottles so that they always have beer at the tasting room. 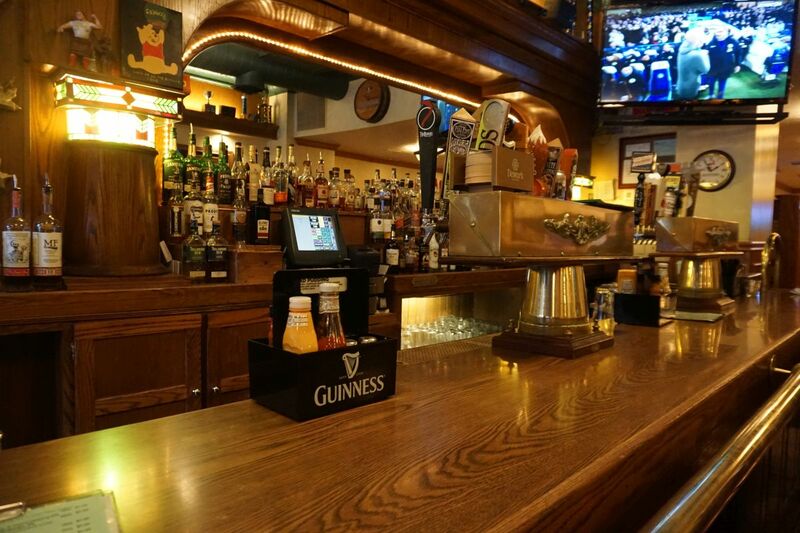 You can find one or two of their beers on draft at bars around town but if you want to have the full experience, it is worth a visit to the brewery directly. 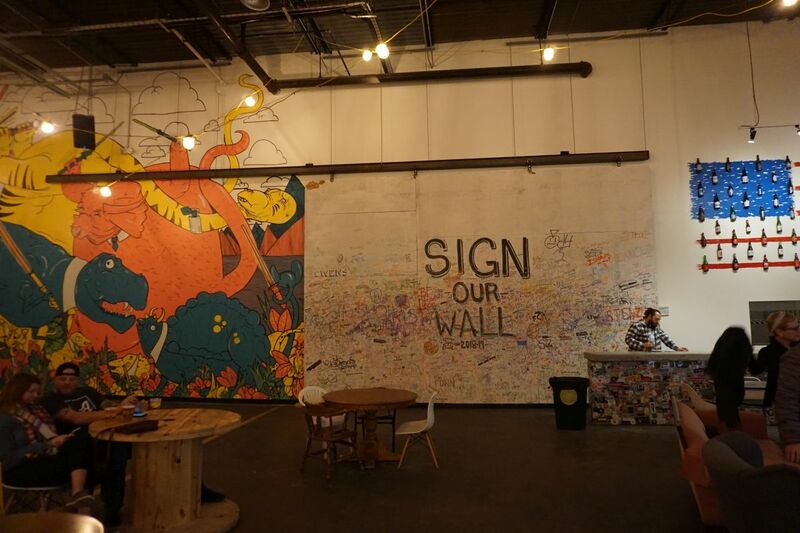 During my last visit to Chicago I was so impressed by Forbidden Root that I was willing to visit the city even when I wasn’t able to take the time to visit other spots nearby that had truly impressed me. Before trying Forbidden Root’s beer, I used to drive to Transient Artisan Ales an hour and a half to the East in Southwestern Michigan. This trip was my chance to see if the brewery was able to make the same quality of beers consistently. They did. 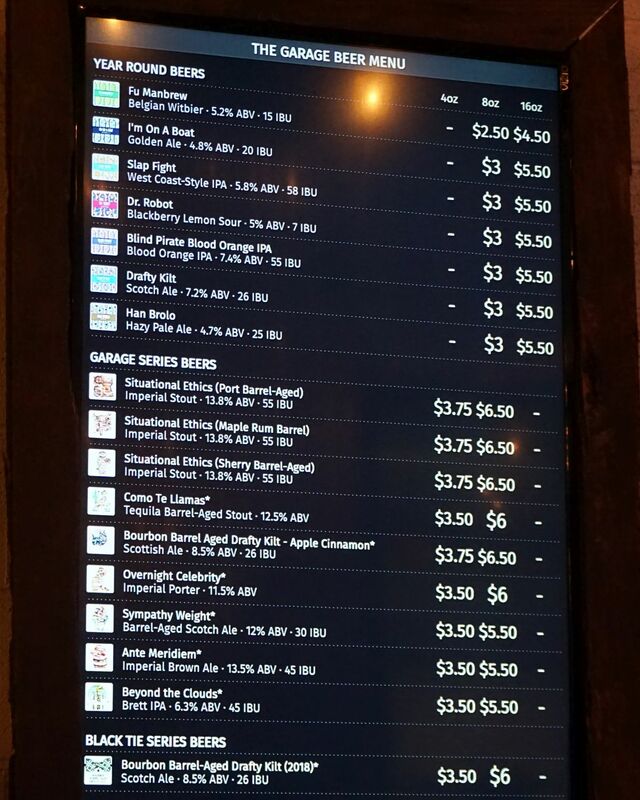 i still haven’t found any of their beers with fruits or botanicals that grabbed me but I was very impressed during my previous visit with their hazy IPAs, specifically the hazy rye IPA called Radio Swan. During this visit I started with Radio Swan and it was thankfully as good as I remembered. The beer had intense notes of melon and citrus with a nice creamy pilowy body and light bitterness. Most San Diego breweries seem to get this same mouthfeel occasionally but I have not found any that do so consistently. My guess is that they don’t really care because the average consumer doesn’t know the difference. 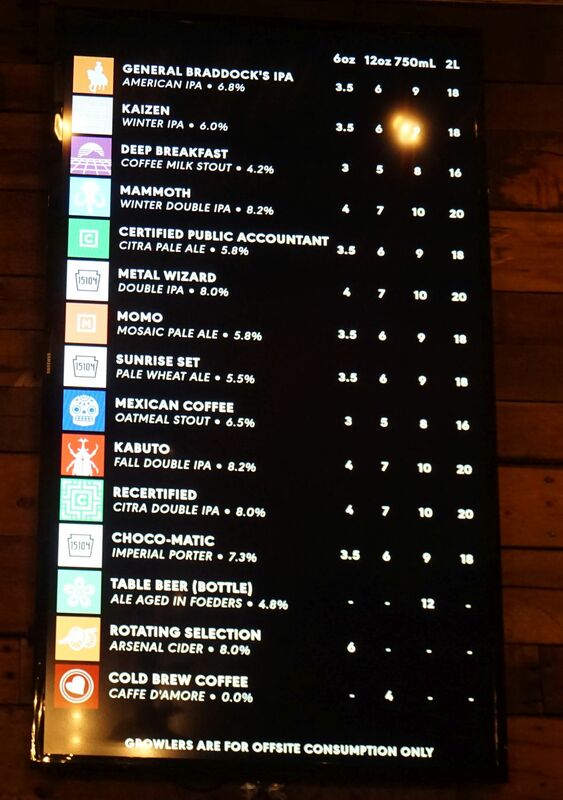 I would have left with a crowler of Radio Swan but the machine was having issues on the day I visited. Besides the delightful Radio Swan I also tried a beer called Night Moth, a hazy IPA aged in oak barrels. This was one of the beers available in 4 pack cans during my visit. I found the beer to be overly sweet and primarily showcasing strong oak, notes of vanilla, and honey. It would work better with fruit as Untapped showed they have released different versions. But on its own, it lacked the drier finish and was too sweet for me. I should also note that I was a bit let down by the lack of vegan options at the brewery on their standard menu. I was initially satisfied to order from their small plates because it sounded like one or two of those would be to my liking. But the roasted carrots with hummus dish was half the size I might have expected for $12. My server that day indicated to me that none of the main dishes were able to be made vegan. Still, given the quality of the Radio Swan IPA, I still hold Forbidden Root as one of the best breweries in Chicago.